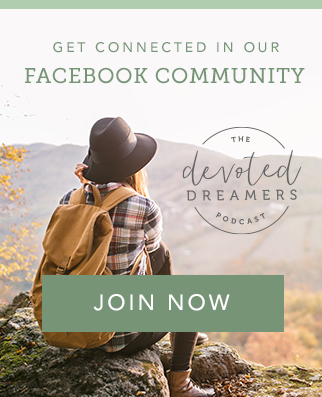 In this episode, you’ll hear Columbine survivor, Crystal Woodman Miller, talk about how God uses our stories –- no matter how dark and hopeless -- to make an impact for His Kingdom. You’ll learn how the enemy of our souls feeds us lies that trick us into insecurity, comparison, and fear to keep us from making that Kingdom impact. If you’re suffering or grieving or struggling to find hope in a broken world, I pray this interview gives you hope that God is with you in the midst of it all. Gretchen Foster is a woman whose life has been completely undone and restored by the unfathomable love of Jesus Christ. 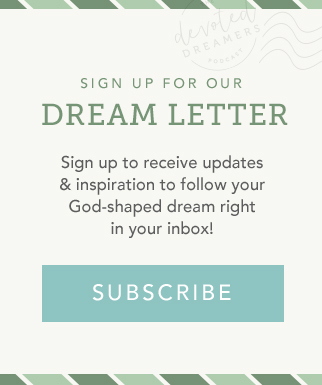 In this interview, she talks about the choice we have between being fearful or faithful when it comes to following our God-shaped dream. She reminds us of the force, power, authority of our King Jesus who is coming back one day. And she admonishes us of the dangers of comparing ourselves or lives to those of other women. Jesus is everything. This is the heart, the passion and the leadership approach of author and speaker, Lisa Whittle. Lisa is the author of 6 books including her 2 latest: Put Your Warrior Boots On: Walking Jesus Strong Once and For All, and 5 Word Prayers, a 40-day devotional. She is a sought-out Bible teacher for her wit and bold, bottom line approach. Wife of 22 years, mom of 3, lover of laughter, good food, interior design and The Bible, Lisa is a grateful work in progress. She would have never dreamed up this particular life, and yet she living proof that the life God has for us is always the one we really want in the end. Sharon blogs at SheWorships.com. She loves writing about Jesus for the women in his church. In addition to writing, she’s a speaker, pastor’s wife and mom of two boys (and another baby on the way) and she hails from North Carolina. She recently completed her PhD at Trinity Evangelical Divinity School. You’ve likely read her writing if you spend much time at Christianity Today’s blog for women–Her.meneutics. Her writing has also been featured in Christianity Today’s print magazine, Relevant, (in)courage, Propel, Gifted for Leadership, LifeWay’s Collegiate magazine, and The Gospel Project blog. Sharon’s first book, Free of Me: Why Life Is Better When It’s Not About You, just launched this week and she’s back on the show to share more about the book and what she learned along the way.